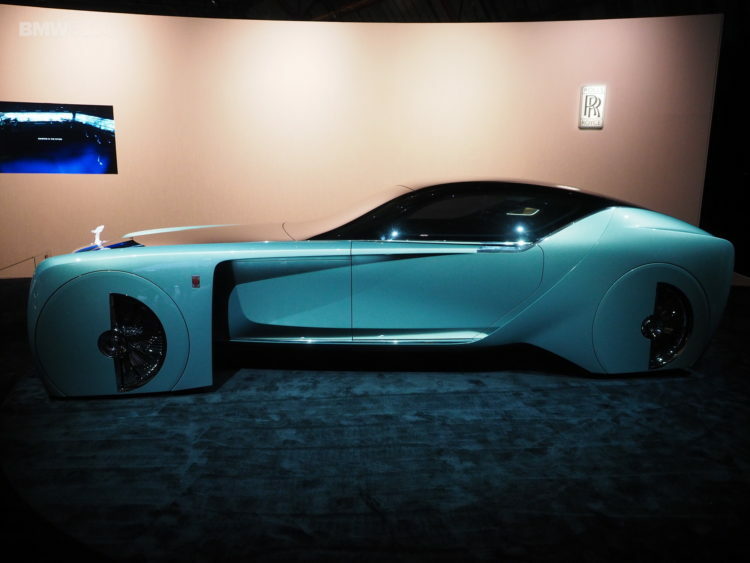 Rolls-Royce’s VISION NEXT 100 Concept made its second ever appearance today at the BMW 100 Years exhibit in Los Angeles. 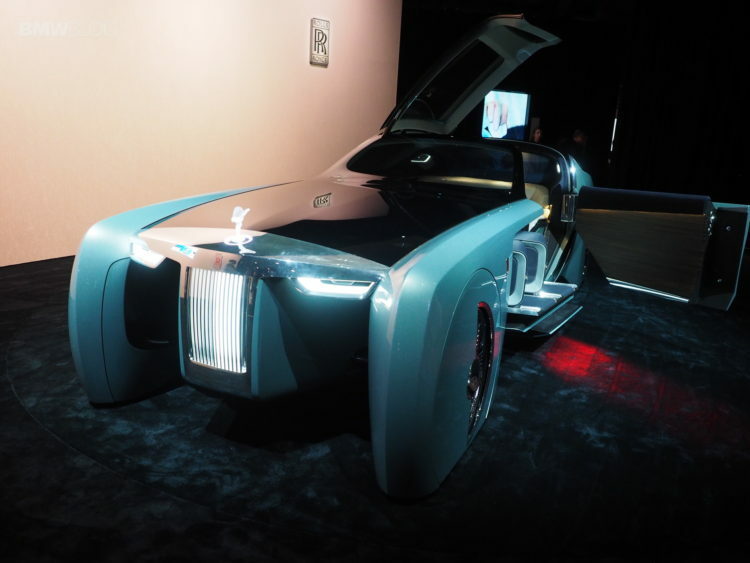 The highly futuristic and imposing luxurious concept has made waves across the Interwebs back in July when it debuted in London. 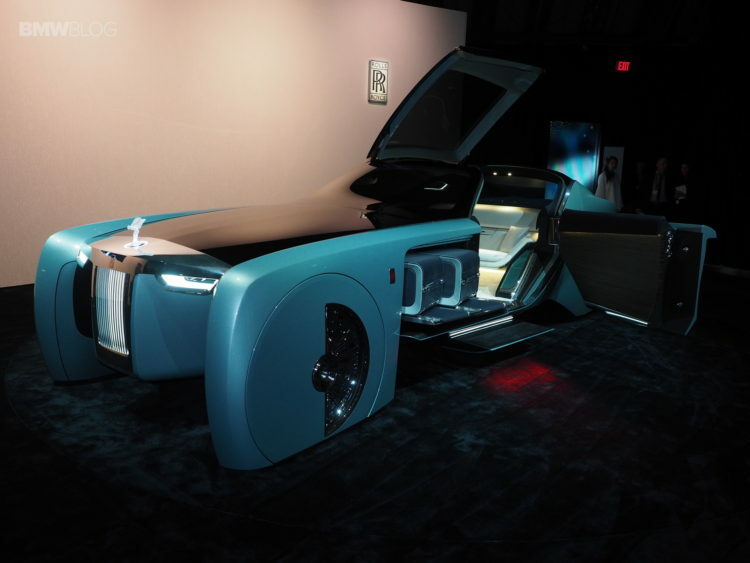 The Rolls-Royce brand couldn’t distance itself from what seems inevitable in the future: complete autonomy for cars. 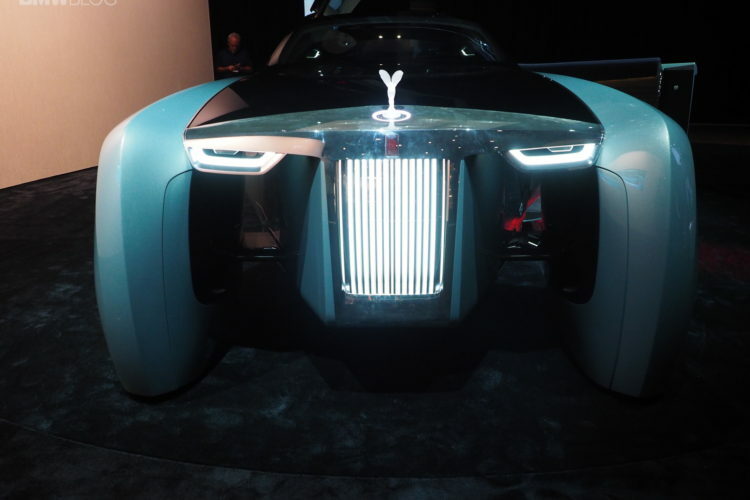 In this regard, compared to the BMW brand for example, autonomous vehicles make a lot more sense with the Spirit of Ecstasy on top of the Pantheon grille. While BMW’s are known for the way they are driven and how they make you feel behind the wheel, driver involvement being key, in a Rolls-Royce the best seat you can have is in the back. Cars made in Goodwood are created specifically to cater to the ultra-rich and their needs and most of the time are driven by chauffeurs. So what Rolls is doing is really personalizing the ride and taking out the human component, yet the result is the same – getting to your destination in style and effortless. The stunning exterior, with an elegant clam shell canopy and coach door, allows passengers simply to stand up and step out of the vehicle, ensuring they are the picture of refinement and taste wherever they arrive. Picking up on its coach building heritage, Rolls-Royce has developed the “Personal Vision” which will deliver unique coach built bodies, exquisite hand craftsmanship and the finest materials, all on a zero emissions platform. Innovative production methods and materials will open up new perspectives for customers to create a vehicle to their own specifications. Saw it in the flesh at the Roundhouse in London… gotta say, it still reminds me of Roberto the Psychopathic robot from Futurama.